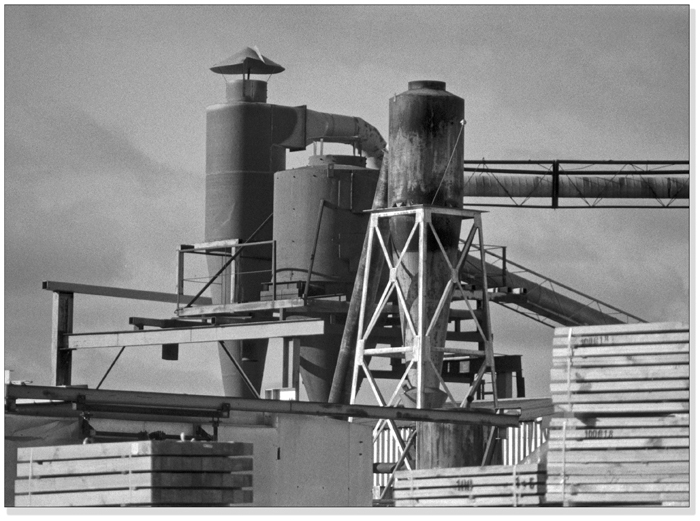 Discussion in 'Classic Manual Cameras' started by rick_drawbridge, Jul 14, 2012. I'd like view any information that's out there regarding this lens. Obviously, being Hanimex, the source of manufacture is obscure. Usually, I can find references and similarities enough to make an educated guess as to where the lens originated, but this one has me foxed. I know it existed, with minor cosmetic changes, as the 200mm Aetnar Rokunar f/3.3, distributed by the US importer Aetna Optiix Inc., but the trail ends there. Sun Optical in Japan seem to be credited with the manufacture of Rokunar lenses, along with many other re-branded lenses for other distributors, so possibly I should accept that it is a Sun lens. It appeared in slightly different forms as a Kamero, Auto-Promaster and possibly Focal, though that name is usually associated with the Hoya glass company. Anyway, it's a fine big lens, nicely made with a retractable hood, adequate coatings, very clear glass and smooth movements. It's also very heavy. It came as part of a Minolta srt-202 outfit with what appears to be a permanent Minolta mount, and dwarfs the camera; here are another couple of pics. 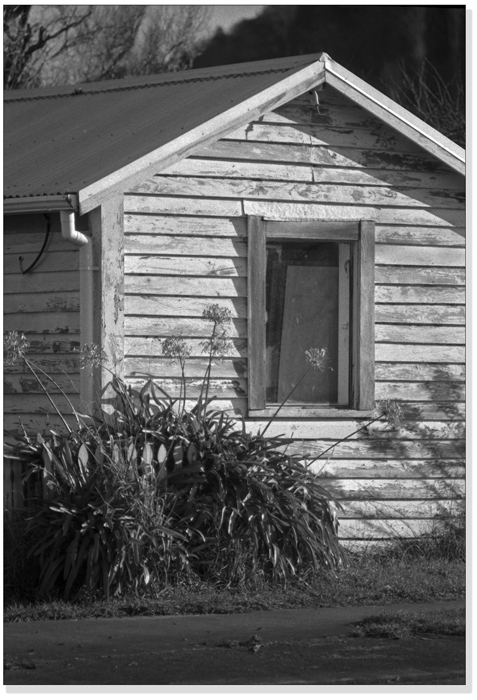 Anyway, I was trying out the Minolta with a load of Fuji Acros, and strapped this monster on for half a dozen shots. The light was really too low to hand-hold the beast, but a few frames showed promise. If the sun ever shines again down here, I'll give it a proper workout. I post a few frames, below. Am I becoming a little paranoid? Any comments would be welcome! Nice results, Rick. I wouldn't worry about including lenses in the forum. I do it all the time. Anyway, the forum would be rather dull if we only included the camera body, wouldn't it? Yeah, I think the CMC forum is inclusive of lenses out of necessity. 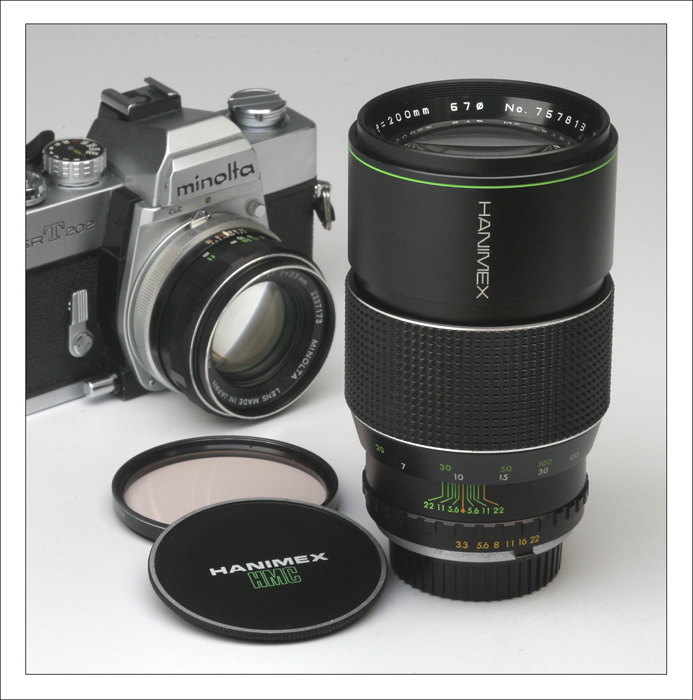 Hanimex, BTW, did offer several primes in various fixed mounts to fit most brands of SLR. I remember seeing an ad for the very lens you have in Popular Photography back in the 1970's. 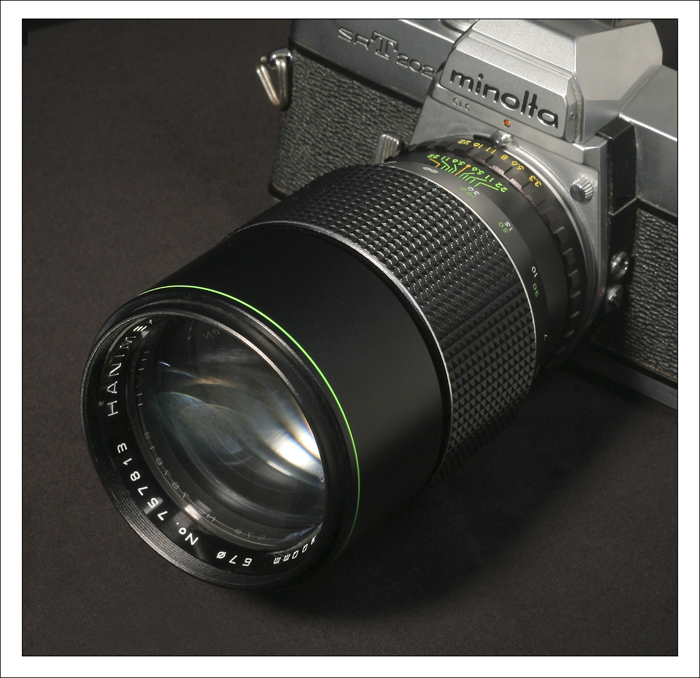 I think Vivitar also had a 200mm f3.3, but I don't know if its related to the Hanimex. Certainly does not look like the Cimko 200/3.3 lens, which was sold under quite a few brands. It had a 62mm filter ring. Here's an eBay listing of a Cimko-made 200/3.3, note the unevenly spaced screws on the mount, and the asymmetric open diamond for the aperture index. I have the "RE Topcor" branding with Topcon mount. With a 67mm filter ring, the only other 200/3.3 lenses with that filter ring size in the old "table3.txt" from "medfmt.8k.com" are Rokunar and Aclor. But they are both just importers. 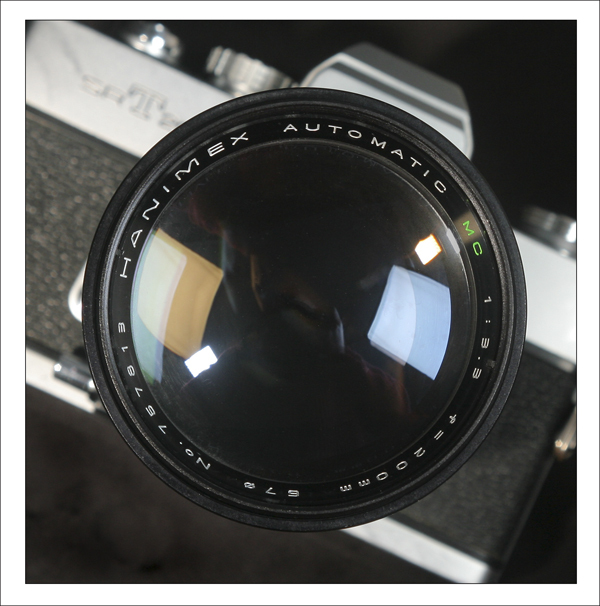 Indeed, here is an Alcor 200/3.3 on eBay, looks like the same lens. Same square font on the beauty ring. There's also a bunch or 200/3.3's with a 79mm filter ring. So there's probably really only three different third-party lens models at this length/speed. Why in the world would you become paranoid? I'd always taken it for granted that Classic Manual forum included manual focus lenses without electronic controls. Modern Film Cameras being, perhaps, the place for EE lenses and of course autofocus lenses. However, I will say that the present setup "balkanizes" us more than I had anticipated back when I was one of those pushing for a "Modern Film" category. I'll raise the possibility, just for discussion, of simply setting up a "Film Cameras" forum aimed at collectors and users and folding at least CMC and MFC into it. I'm not actually pushing this, since I'm of two minds about it. It would, however, quiet down some of our pickier people who tend to go into hissy fits when a Kiev is called a "Classic". Now Hanimex - that's certainly a "classic" all right. You can tell because later on they became the main importer of East German Classics into the USA. I have no idea of the genesis of this particular lens, but it seems to have generated some nice results. Well done. Of course, there are some here who seem to have a kind of Midas touch with all kinds of lovely old "classics." Thanks, John, I'd considered the Cimko, and, as you've observed, it's quite different. The Alcor is a variation I hadn't come across and it does look identical. "Alcor" is not a brand I can recall having come across before. From the old "Table 3" the only 200mm f/3.3 listed with a 67mm filter diameter is the Rokunar, so far as I could see. Perhaps a vote for Sun? Thanks for your input. whose existence seems to be only attested in my item and a listing on the old M42 lens info site (which seems to have gone). Anyway, it looks like it might be from the same origin place? Mine bears the "Made in Hong Kong" tag. Wow! When a lens dwarfs a SRT202 it is big. From the photos it looks like a very nice lens. 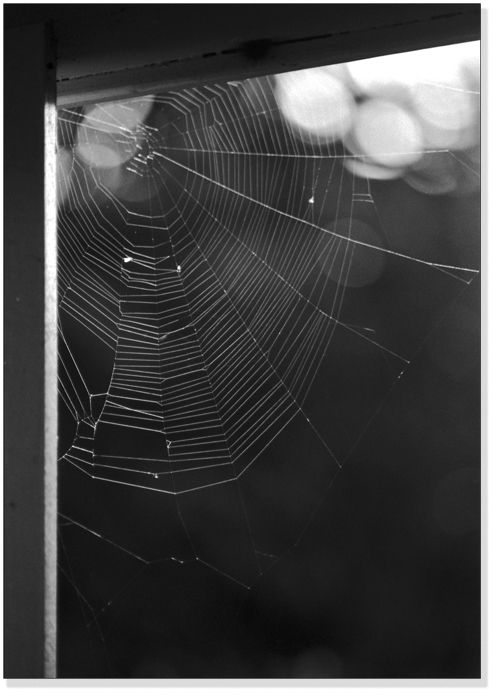 Rick, very nice photos, that spider web is very nicely captured. 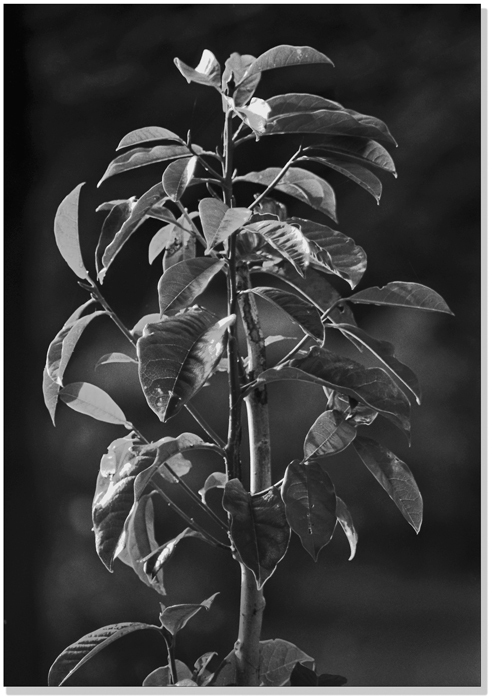 I also like how the light plays with the leaves of Michelia giving a nice definition. Shoot some C41 through this glas and share the results with us. If I had not already bought a Tamron Adaptall 200mm f3.5 last year, I would look for this lens. The Tamron is a bit smaller in diameter and takes a 62mm filter. But sense I have Adaptall mounts for all my manual focus gear, I guess I will get more use out of it. Still, if I come across one at a favorable price, I may have to buy it anyway. A beastly optic but it looks like a good performer. +1 It's sort of implied. Classic cameras are sort of paperweights without classic lenses. Often a single classic body type can accept a wide range of lenses so discussions of that range seem appropriate even if not the original camera maker's nameplate. Great looking lens Rick. I have a 135mm 2.8 for Nikon mount and agree that the lens is really well made and the Multi-coating on mine is greenish like Minolta lenses. I also have no idea who makes these, would be interesting to find out. When you think about it, a lot of enthusiasts back in the day would have bought several lenses with their cameras, which makes for potentially many more lenses than cameras in circulation. Thanks for your responses, Louis and Tony. 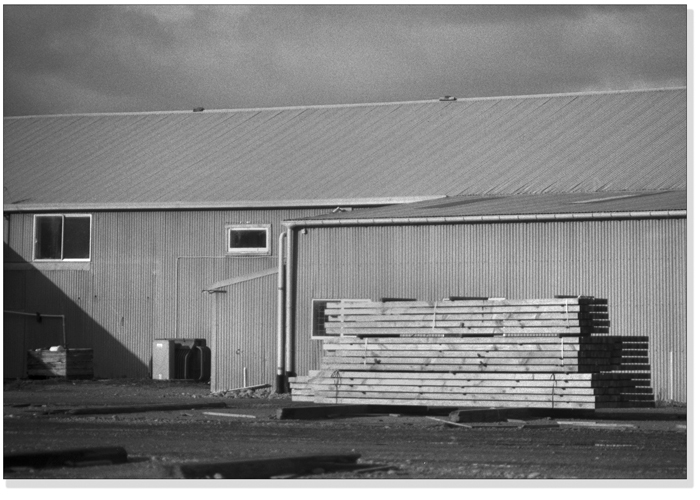 The Hanimex operation has always fascinated me, and how it progressed from being a local Australian company to being the importer of Pentacon products into the US must be quite a tale. While many of their rebranded offerings were obviously procured for the budget market, some of their more exotic items were actually from some of the better OEM's, and were of very high quality. Sorting out the wheat from the chaff can be quite fun. JDM, I think the green band was used by a variety of brands from the lower echelons and I don't think the Mirage and this Hanimex lens are related, the Hanimex being of Japanese origin. But one never knows; since composing this post with the assumption that Rokunar lenses were manufactured by Sun, I've discoverer that early "Rokunar" lenses were actually branded "Taisei-Rokunar", Taisei Optical being the company that became Tamron. 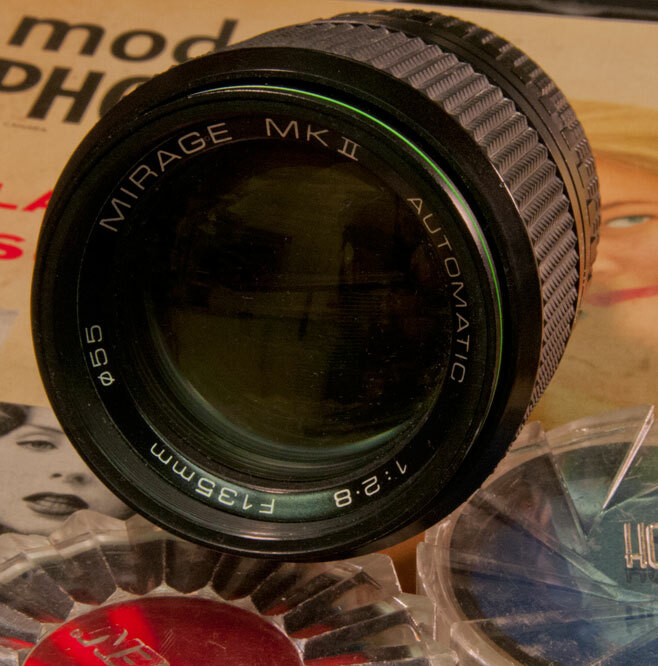 The lens is also identical to a Prinz Rexetar model, marketed by the UK Dixons chain. So, who knows? It's all rather intriguing. Thanks, Mike and Ralf; I will run a colour film past the lens when the weather improves. Thanks, SP; "hesitation" would probably have been more appropriate than "paranoia"! I've come across several favourable comments regarding the 200mm Hanimex f/4.5. From the weight of this lens and the look of the bokeh in the web photograph I have a suspicion that it might be a Sonnar design, but more use may prove me wrong. And you're right, Rod, it's certainly substantial; one of those lenses where the camera is attached to the lens, rather than vice versa. So the real question is, Sun (were they still extant then), Sigma, Cosina, Tokina, Komine, or Kiron? Would need some known design features of each of those manufacturers. If any of their own-brand lenses used that font, that would be a giveaway. Impressive howitzer. This looks like a second-tier lens-maker's attempt to get attention by engaging in a bit of "look who's got the biggest..." one-upsmanship. I'm thinking since most 200s were f/4.0 or 3.5, this f/3.3 model was a try at being the fastest besides of course super-expensive truly pro kit like the Canon EF 200/1.8. The troubles are, (a) you get to big/expensive filter sizes and heavy weights pretty quickly along this curve; (b) is it sharp wide open anyway? ; and (c) what does 3/32 of a stop (if that's the difference between f/3.5 and f/3.3) really get you, especially if you're shooting a CMC with mechanical (not stepless electronic) shutter, so you'll probably set the same shutter speed anyway? That was probably me, although I'll accept Vivitar had some goodies. I agree with David, f3.3 is silly. Thanks, David, I couldn't agree more. My favourite 200mm lenses are in the f/4 -5.6 realm, mainly because they're smaller and lighter and perform better at their maximum apertures. f/3.3 does seem a little absurd, though there are quite a few reknowned f/2.5 lenses about which one could make the same comment... As for howitzers of the era, until you've handled a 135mm Sigmatel Scalematic f1.8, you ain't seen nothing! In addition to the Hanimex label, this 200mm f/3.3 lens has also been marketed as a Rokunar, JC Penney, Kamero and Promaster, and probably under many more brand names. The copy I have is labeled as a Kitstar which, I believe, was the private brand name for a camera store. I suspect that this and the similarly spec'd Cimko lens are simply f/3.5 designs that were claimed to be f/3.3 lenses for marketing purposes. I have no idea who the actual manufacturer was, but I don't think it would be a major third-party Japanese lens maker (e.g., Tokina, Tamron, Sigma). Another similar example of this aperture marketing ploy is a third-party 80-200 zoom lens marketed under the Albinar and many other labels as having a maximum aperture of f/3.9.